Proposals to finance Channel 4's digital switchover costs with money from the BBC licence fee have been scrapped by the government. In a written statement to Parliament, Culture Secretary Andy Burnham said "more wide-ranging" plans were needed. He added that Channel 4's future in the digital broadcasting era would be decided early next year. Under plans announced in 2007, it was proposed that £14m of licence fee money would be diverted to Channel 4. In his statement, Mr Burnham said "the debate on the future of public service broadcasting has moved on significantly". 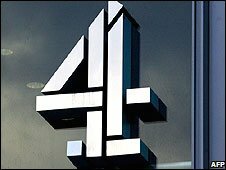 He added that new proposals would be wider in scope and move beyond simply a solution for Channel 4's digital switchover costs. Mr Burnham also said that challenges for commercial broadcasters are being placed under extra strain by current economic conditions. Channel 4 said it backed the proposal's withdrawal. A spokesman said: "As the government makes clear in its statement, broader decisions about the future framework of public service broadcasting will be made early in 2009 as part of its Digital Britain review." "It makes sense to seek any necessary approvals from the European Commission for a single, all encompassing solution to support the UK's public service broadcasting system, rather than a series of small-scale proposals," he added. The move to finance Channel 4's switchover costs with BBC licence fee money prompted an investigation by the European Commission, which was concerned that the plans could be a breach of its rules on state funding. The broadcaster has said that it will need extra money to overcome a funding shortfall of around £150 million by the time digital switchover is completed in 2012.